San Diego is a fun place to visit in March, especially during the brief break between winter and spring break. Winter rains taper off or disappear altogether. For the first week of the month, all of the tourist spots are uncrowded. It will be too cold to swim in the ocean, but you can enjoy a seaside stroll during the day. And once spring break starts, all the family-focused attractions get super-busy. 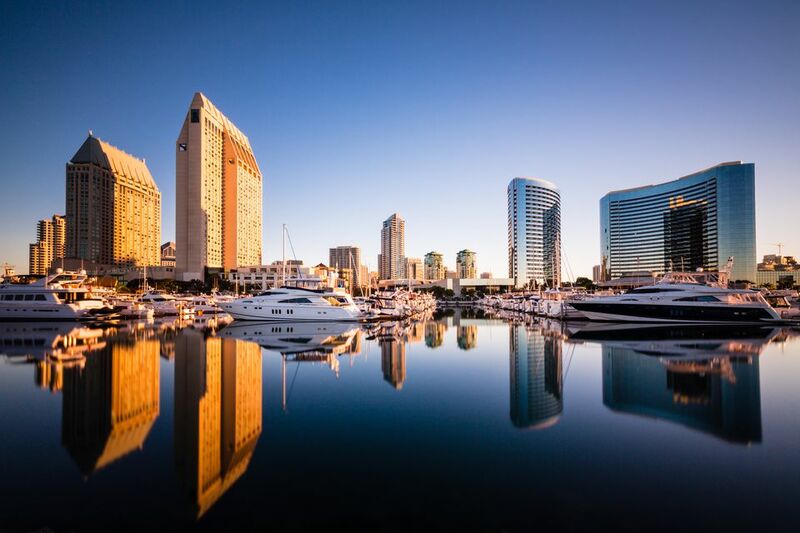 In San Diego, March is the perfect time to visit. Any winter rains will be over, and things will be less crowded than in the summer. If you want to compare March weather to other months, check the Guide to San Diego Weather and Climate. March is moderate in temperature by San Diego standards and what to wear depends a bit on what you're used to. If you usually wear short shorts and flip-flops at those temperatures at home, you may want to pack them. Just be aware that San Diego residents think that it's a little cold out and they may look at you oddly. The old advice about packing layering outfits applies to San Diego, too. Pack a mid-weight jacket, especially for evenings near the beach. Long-sleeved shirts and sweaters, layered over short sleeves are your best fashion strategy. Be prepared for a wide range of temperatures and don't forget a cozy fleece top or sweatshirt in case you're feeling extra chilly. And if you plan to spend time near the ocean expect to be at least 10 degrees colder than it will be inland. Let the weather forecaster be your best friend and check the short-range forecast before you start trying to stuff everything into your suitcase. Carlsbad Flower Fields: It's a spring show that's also a business, at a flower bulb grower's site in a San Diego suburb. Depending on the weather, they bloom between early March and early May. Busker Festival: Seaport Village hosts the only Busker Festival in Southern California, bringing street performers from across the country to perform their bizarre talents. After dark, they bring out their edgier acts for the over-18 crowd only. St. Patrick's Day Parade: The official date is March 17, but the festivities may occur during the closest weekend to that date. Whale Watching: San Diego whale watching season runs from December through March. Use the San Diego whale watching guide to learn more about California whale-watching and San Diego excursions. March through August is time for a uniquely California event. During the annual grunion run, thousands of tiny, silvery fish mate by the light of the full moon (or the new one). See the schedule to find out when to expect the run. The best San Diego beaches to see the show are La Jolla Shores, Pacific Beach between Tourmaline Park and Lifeguard Tower 20, Mission Beach between Lifeguard Towers 19 and 10, Ocean Beach between Mission Bay Channel and the Ocean Beach Pier, and on Coronado between the Hotel del Coronado and Dog Beach. All you have to do is sign up for a free account with Goldstar to get access to discounted tickets for performances and save on some San Diego attractions. The San Diego Padres baseball team might be playing at home while you're there. Check the schedule on their website. Daylight Saving Time begins in mid-March, which will push the clocks back and make it seem like the sun is setting later. Many local attractions may change their hours when that happens. Hotel occupancy is high in March. To avoid sellouts and high rates, reserve as far ahead as you can, making sure that there are no cancellation penalties if you change your mind. If you're going to San Diego during Spring Break, try to make your hotel reservations as far ahead of time as you can before everything gets filled up.